Denise Hurley’s mother’s strawberry shortcake makes an appearance in Sisterhood homes in South Bend every spring. It’s light, lovely, sweet and easy to make. Mrs. Hurley used to make this treat for her children in their San Francisco home. 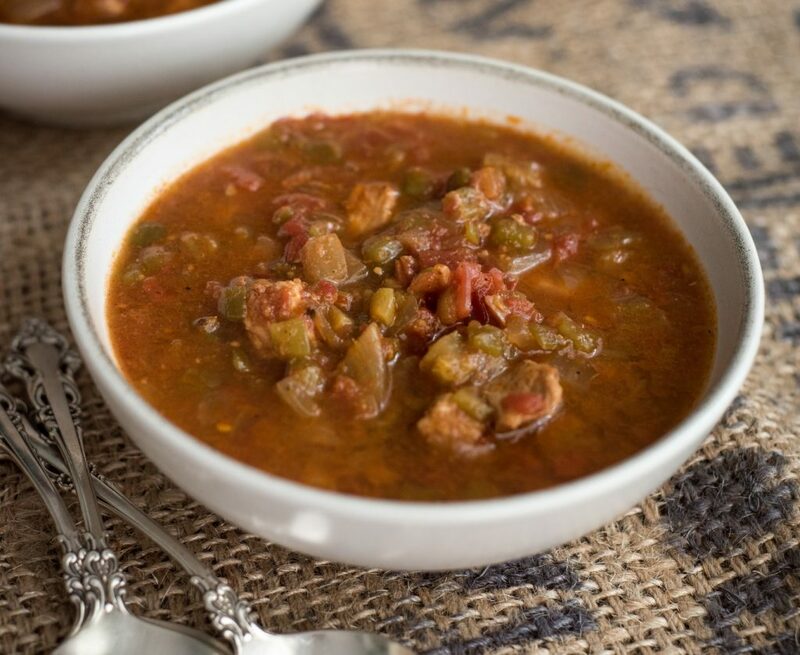 One Mother’s Day, Denise’s brother Bob, now an acclaimed chef with his own Napa Valley restaurant, took the risk of teaching this recipe on a live cooking show and invited his mother to join him. When Mrs. Hurley observed some flourishes her son added for the occasion, she informed him, on the air, that he wasn’t making it the right way! What follows is, to the best of Denise and Bob’s memory, Mrs. Hurley’s way. 1. Sift all dry ingredients into a bowl and mix well. Cut butter into mixture and work with fingers until it is the size of peas. Pour in cream and work it in until it just comes together. Mixture will be dry. Don’t overmix or the dough will be tough. 2. Spread out on floured surface and roll to 1” thick. Cut out circles with a biscuit cutter or drinking glass and place on lightly oiled baking sheet. Brush tops lightly with cream and sprinkle with sugar. Bake at 350 degrees for 25 to 30 minutes until edges are a light golden color. 3. When biscuits are cool, slice in half and spread with butter, sprinkle with sugar and put under broiler until they start to bubble slightly around edges, one to two minutes. 4. Chill mixing bowl and beaters in freezer for 20 minutes. Pour heavy whipping cream and sugar into cold bowl and whisk on high speed until peaks form, about 1 minute. 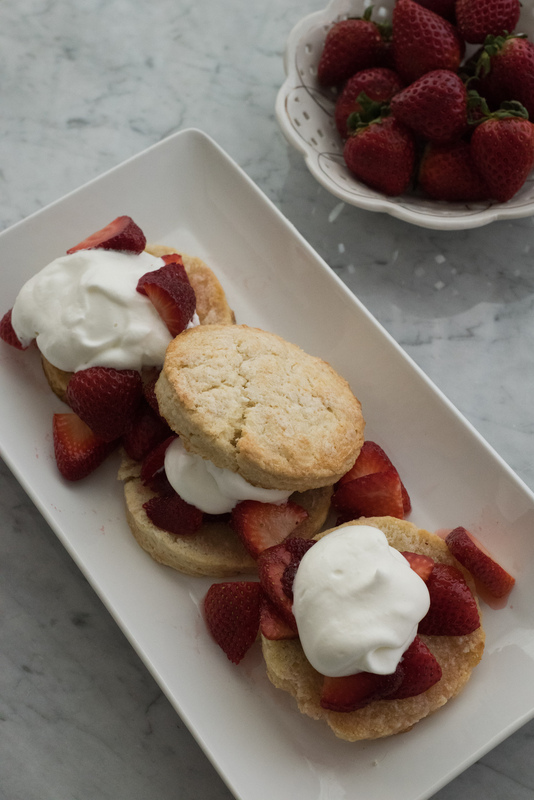 Then place sliced strawberries and a dollop of whipped cream on each half of the shortcakes to serve.